Generally, I don’t think there’s any other Watchmaker that’s as devoted to the field of sport as Tag Heuer. Since the 1910s, the Swiss watchmaker has been a pillar of precision to the drivers on land, waterway, and even the skies. Although the Tag Heuer watches were iconic among the automobile racers in the ‘60s, the Tag Heuer Formula 1 collection transformed the platform largely. This was enhanced by its design which featured a combination of the Swatch’s bright colors with a quartz movement in its analog display. Leaving the story for another time, let us look at some of the best Tag Heuer Formula 1 Chronograph watches for your exotic wheels. Every classic car color has a sweet story behind it. And so should be your watch. Although I have never affirmed my concept from the watch’s designers, I believe Tag Heuer Formula 1 CAZ1014.BA0842 got its display color from Porsche Ossi Blue. The outer casing of the watch is highly-polished steel with a fixed bezel in “Ossi blue” color. This bezel has a tachymeter scale, thus, very helpful if you’re a man of speed. On its “Ossi blue” dial, the 43mm TAG Heuer Formula 1 has silvered Rhodium-plated indexes and hands to enhance readability in the dark. Behind this dial, the watch’s Swiss Made quartz caliber secretively works its magic, providing you with exquisite precision of hour, minutes, and seconds. That’s not all. The watch also has fast date correction and chronograph functions of 1/10 seconds, seconds, and 30 minutes. In case you are an enthusiast of the world under the ocean waters, TagHeuer Formula 1 CAZ1014.BA0842 watch is a good swimmer as well. The watch has waterproofness of up to 200 meters, which is well-supported by its bracelet’s diving extension feature. 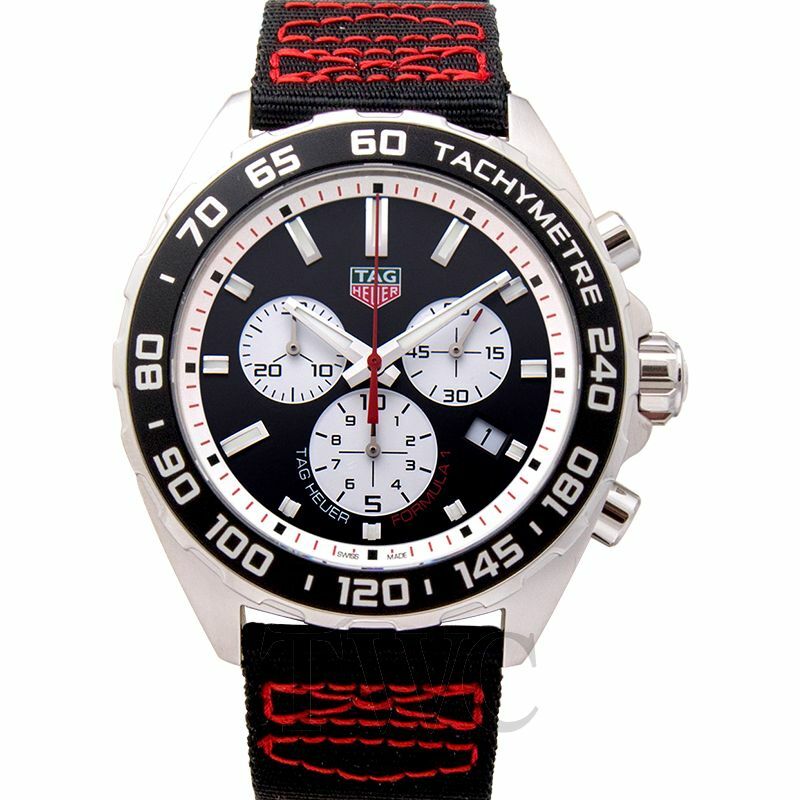 Even though all Tag Heuer Formula 1 watches are creations from F1 auto racing, Tag Heuer CAZ1019.FT8027 seem to be more than the race, though. As a blend of two legendary super-sports, the watch features Formula 1 sporty design, alongside Manchester United emblem. On its steel black PVD coated case, the watch has a fixed bezel with a Tachymeter scale for tracking your track speed. For the matte black dial, on the other and, Tag Heuer CAZ1019.FT8027 watch provides its wearer with the precision of time and chronograph. Whilst reminding him of his dear team with the emblem at the 1/10 second subdial. To ensure the watch is usable in dark backgrounds, the black gold plated hands and indexes have a coating of a high-quality luminescent material. This feature remains functional up to a water depth of 200 meters, allowing you to track your dive time exquisitely and at ease. Using its original Swiss Made Quartz caliber, Tag Heuer CAZ1019.FT8027 watch is able to run for up to 2 years nonstop. During the period, the timepiece ensures you’re timely on hour-time, date, and chronograph functions from 1/10 second to 30 minutes. 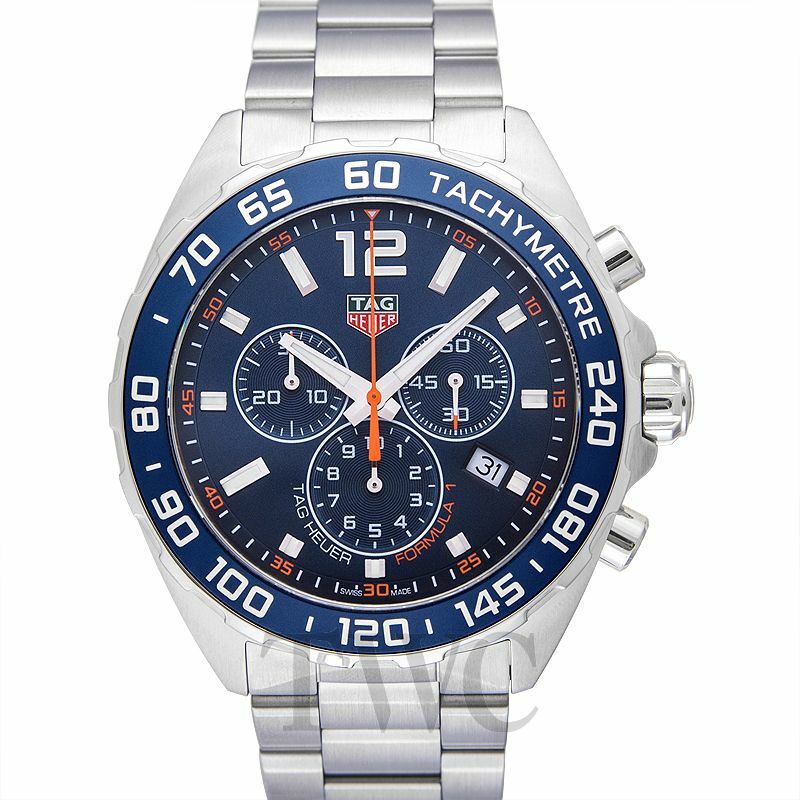 Similar to the other Heuer models, this watch has fast date correction as well. Vividness. Classiness. And ultimate flexibility. The three features ought to be your favorites in this title. Otherwise, you will find Formula one CAZ101E.FC8228 just as a casual watch, whereas it holds more than that. Falling in the category of the Versatile Tag Heuer Watches, this men’s watch doesn’t care if you’re driving a matte black BMW M3. Or its white/ silvered baby sister. It’ll blend in any of them, as long you are able to top its brilliance with a smile. Tag Heuer Formula One watch features a tough fine-polished steel casing, alongside a robust aluminum and steel bezel with bold Tachymeter scale. With its sturdy antireflective sapphire crystal and the tightly-fitted caseback, the watch is waterproofed up to a 200-meter depth. For a colorful precision, the dial of Heuer CAZ101E.FC8228 is particolored with matte black and opaline white on the sub-dials and dial ring. Similarly, the rhodium-plated hands and hour markers have a luminescent coating for enhancing readability in dark backgrounds. With its Swiss Made Quartz movement, Heuer Formula One CAZ101E.FC8228 can last for up to 2 years without ever replacing the battery. Throughout this period, the 44mm watch will ensure you’re always having high precision of hour-minutes time, date, and chronograph functions. For fine comfortable wear,Tag Heuer Formula One watch has a black NATO strap with a polished steel pin buckle. Some people fancy “flashy” colors, while others want it cool and serene. Despite Tag Heuer Formula 1 throttling with colorful sophisticated watches, the collection also has sporty modish designs, one of them being model CAZ2012.BA0970. 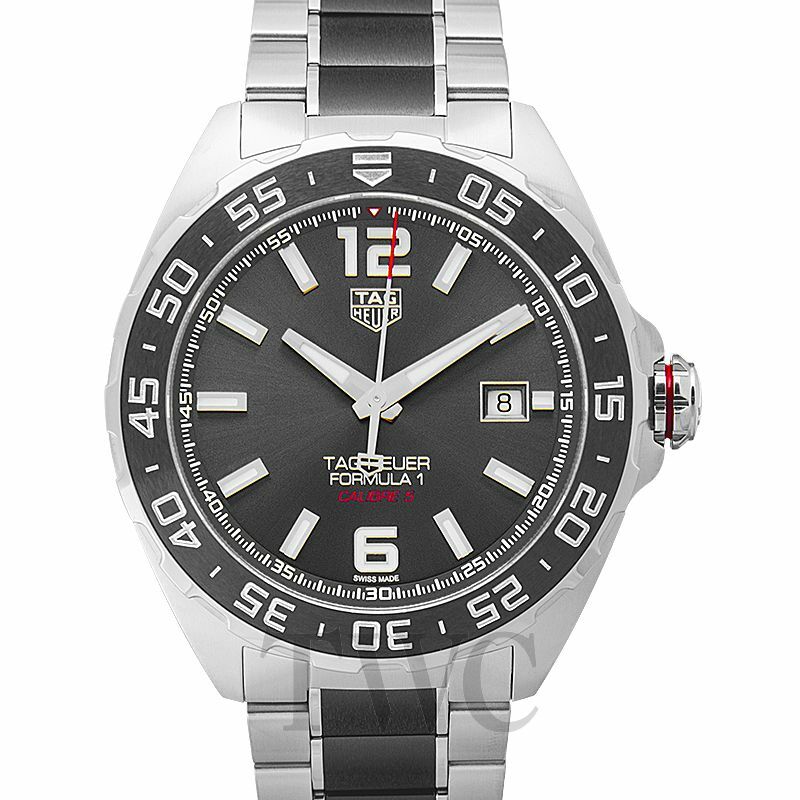 For the men with a humongous liking, this Tag Heuer model has a 44mm steel case with a fixed ceramic matte black bezel. The0 bezel has an engraved tachymeter scale that ensures your love of high speeds is served right too. In the inner casing, Tag Heuer Formula 1 Calibre 16 has a matte black dial with 3 embossed sub-dials for the chronograph functions. To ensure not a single second is missed, this dial holds thick Rhodium-plated indexes and hands with high-quality luminescent coating. 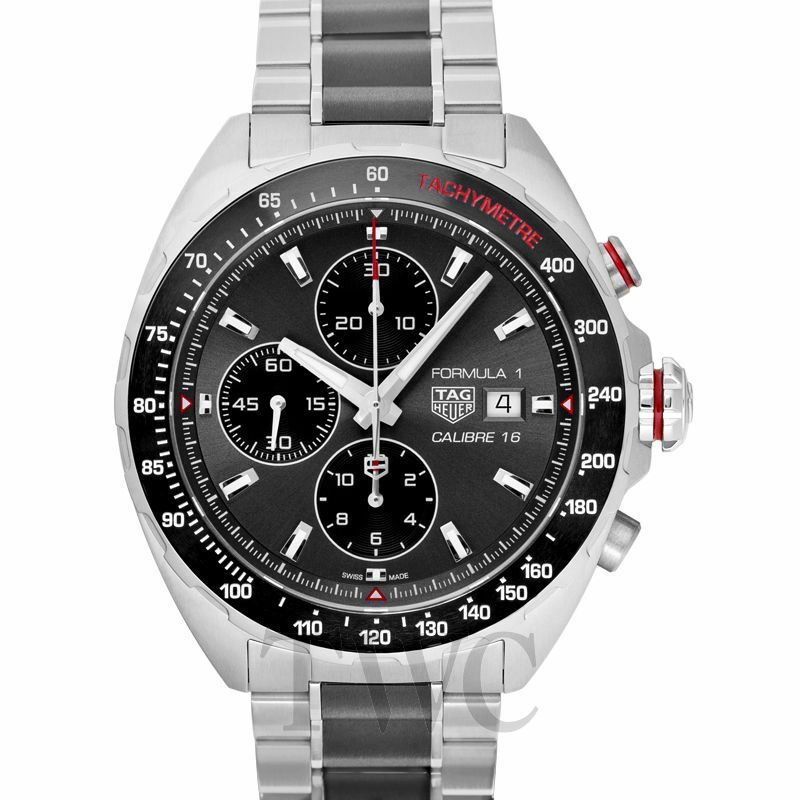 Some time back, Tag Heuer Formula 1 watches were only available in Quartz movement. To make sure they have been able to care for those who cherish sophistication, in the encompassed models there are those with mechanical movements. Tag Heuer CAZ2012.BA0970 amongst them with its 25-jewel caliber Calibre 16. While there have been several discussions on Calibre 16 and Calibre 5 movement, on my end I believe the two are related. If you take our CAZ2012.BA0970 and Tag Heuer Formula 1 Caliber 5 models like WAZ2011.BA0843, for instance. You will realise the two have almost similar casing (disregarding the chronograph features). Furthermore, all the other Tag Heuer Watches running with Calibre 5 movement reserve power for up to 42 hours, just like HeuerCAZ2012.BA0970. The only difference is that it offers multiple functions. They include, hour-minutes time, chronograph (1/4 second, 30 minutes, 12 hour), and fast date correction. Just because Tag Heuer introduced Formula 1 watches from the F1 racing doesn’t mean you can’t have them for your casual dressing. They are still stylish and reliable even when not behind the wheels. Therefore, if you’re not able to enjoy the speed of Formula 1 engine on the track. Then have it off the track on your wrist.